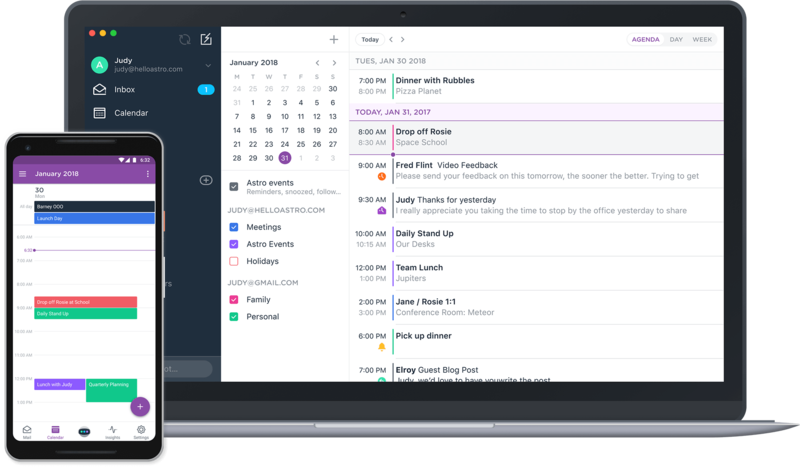 The AI-infused email client, Astro, now has a built-in calendar. 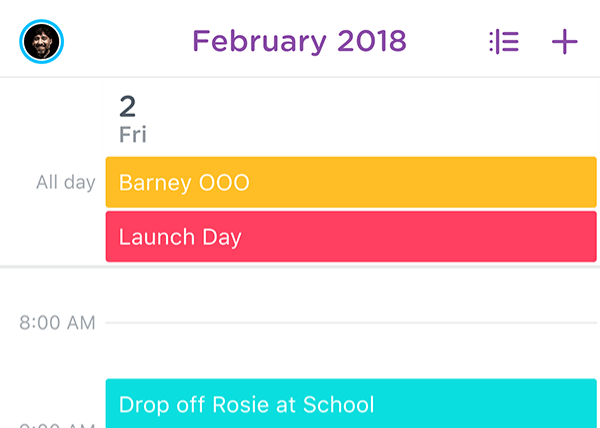 You’re able to add events to your calendar with natural language commands like “add lunch meeting to my calendar tomorrow at noon.” You can also ask questions about your calendar, like “When am I free Wednesday?” Snoozed emails, reminders set in Astro, and emails scheduled to be sent later are all added to the calendar automatically. While calendar support is the headlining feature of the update, there are numerous other tweaks. 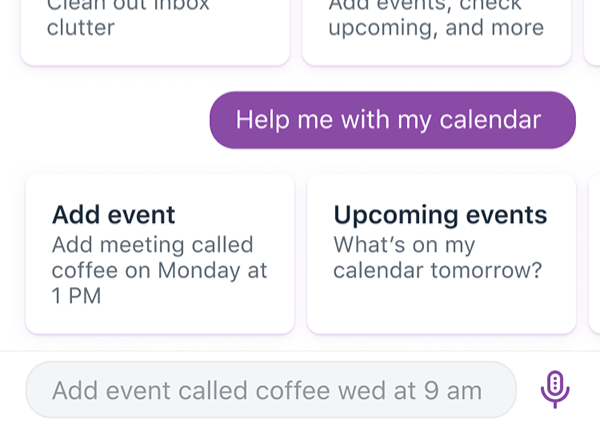 The app’s UI has been organized into tabs (“to make navigation simple,” Astro says), and Astrobot has gained new abilities, like searching for emails by sender or subject. The app also now supports Twitter-style @mentions, with anyone @mentioned in the body of an email automatically added as a recipient. Other Astro users @mentioned will also receive an in-app notification. Astrobot’s semi-automated inbox organization feature, “Zap,” has also gained some useful new functionality, like the ability to unsubscribe from mailing lists with just a tap (or a few natural-language words). Version 3.0 of Astro is available now on the Play Store.